High quality vent brush that elevates limp and lifeless hair. The Bluebeards Revenge Vent Brush has been expertly designed to increase airflow through the hair during hairdryer styling. It also adds volume and texture when used for general brushing. 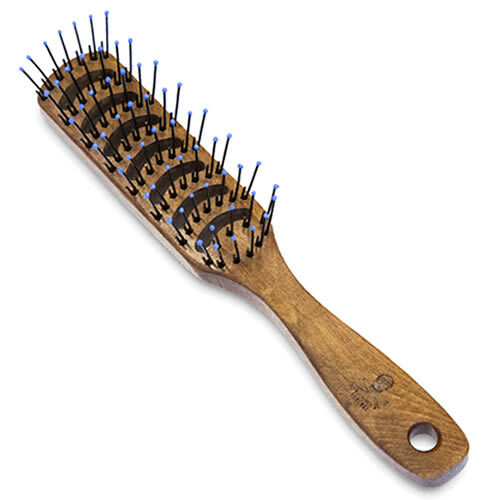 Your clients can say their goodbyes to flat and lifeless hair thanks to this beech wood brush that features eye-catching blue-tipped bristles and the iconic Bluebeards logo, too. Simply lift sections of hair and concentrate airflow upwards to support movement and help create volume. £10.43 (inc. VAT) Why no VAT? We're a trade wholesaler and quote our prices without VAT to help our VAT-registered customers understand the true cost of a purchase. Great value gift set featuring 3 Jack Dean products and a FREE branded luxury wash bag. Set contains: Conditioning Shampoo, American Bay Rum Body Wash and Styling Paste.